Our team of specialists are on hand to create tailor made advertising solutions and deliver return on investment and help meet your business objectives. We understand that every client is different, with different challenges, opportunities and needs. Our first meeting with you is probably one of the most important we will have, establishing exactly what it is you have to communicate and who you want to communicate it to. From generating sales leads to launching new products, driving online traffic to raising awareness, whatever it is we will ensure we clearly understand your business requirements before creating advertising solutions designed to deliver results. Creative airtime is scripted and planned to maximise your reach to the Juice audience and your target customers. Our dedicated team of creative writers will create your selling message using their vast experience to form a brand identity and sound of your business. Creating your message is the most important part of the process. Taking the brief, scripting the commercial and voice or music selection for production are vital components that we work closely with clients to ensure the best possible results. Sponsorships are long term commercial association with the radio station where we attach a brand to a specific show or feature eg The Breakfast Show. Client Sponsorship straplines can provide targeted brand identity and selling messages at set times during the day and deliver brand association by being attached to Hit Music Radio programming output. Sponsorships also build much needed trust and confidence of your brand with your potential customers and offers an exclusive vehicle to increase brand awareness of any product or service. Promotions are traditionally short term, high impact bursts of activity designed to compliment other airtime or sponsorship activity and generate a direct response. Promotions can allow listeners to get involved and interact with the radio station in and experience your product or services. Interactive is a huge area of growth within the radio industry and here at Juice we’re leading the way in terms of creativity and delivery for clients and listeners alike. Banner, sky scraper and animated messages are all possible on our website along with client downloadable discount vouchers, blogs, microsites and reviews. 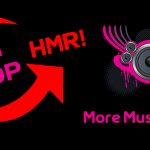 The Hit Music Radio audience use the website on a daily basis to communicate with the station for on air requests, local news and sport information and entering competitions etc. To enquire how Hit Music Radio can help your business deliver results, use the email link below and we will come straight back to you. In the required fields, make sure you fill in your first name, contact email, contact telephone number and put your company name and a brief message in the message box and one of our team will contact you.